If the Spring Show was any indication, the Fall Show should fill every nook and cranny of the Stillwater Community Center! Everywhere you look: ART ART ART! We are expecting it to be fantastic! 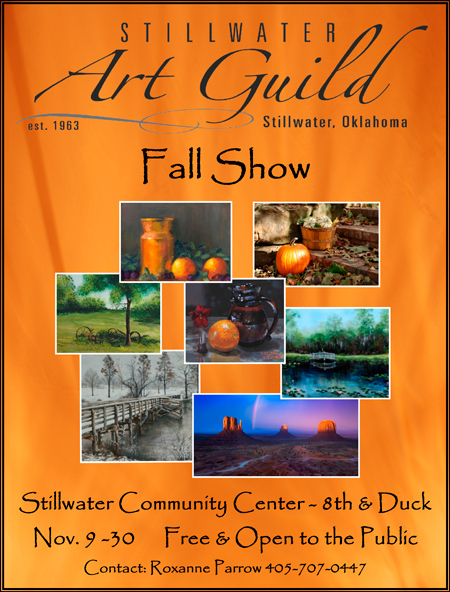 For more information, see our page on the Fall Show. This entry was posted on November 7, 2009 at 2:09 am and is filed under Newsletter. You can follow any responses to this entry through the RSS 2.0 feed. You can skip to the end and leave a response. Pinging is currently not allowed.